City goes to church. 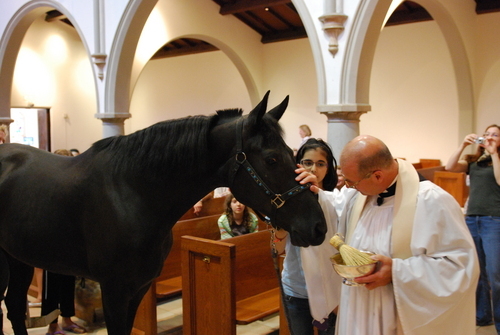 I took City to my church for the blessing of the wanyama on st.francis day.City is a Tennessee Walker mare. HD Wallpaper and background images in the farasi club tagged: horse beautiful church. This farasi photo contains lippizan, lipizzan, lippizaner, farasi uchaguzi, horse trail, and uchaguzi wa farasi. There might also be farasi wrangler, wrangler, saddle farasi, wanaoendesha farasi, mlima, farasi wanaoendesha, racehorse, mbio za farasi, and bangtail.